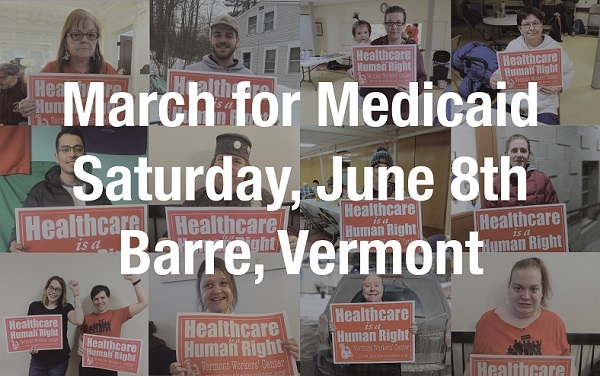 Support the UVM Medical Center Nurses! 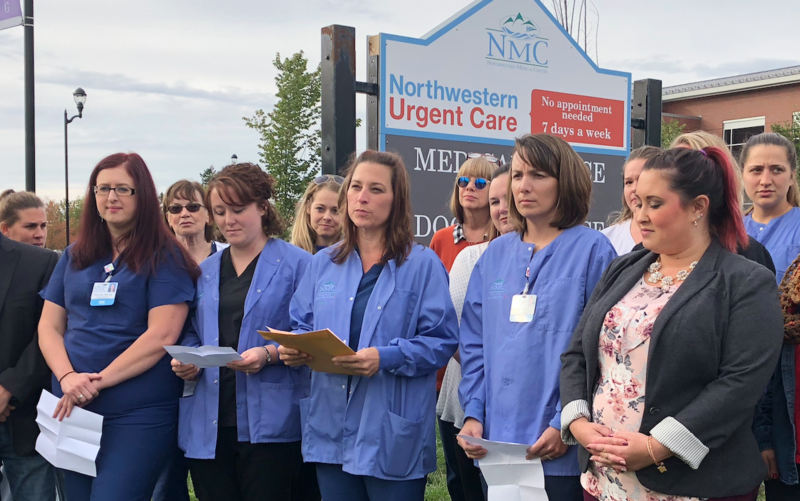 9/31/18 UPDATE: Today the nurses at UVMMC announced they have ratified a contract with management, thanks to the support of their patients and community! 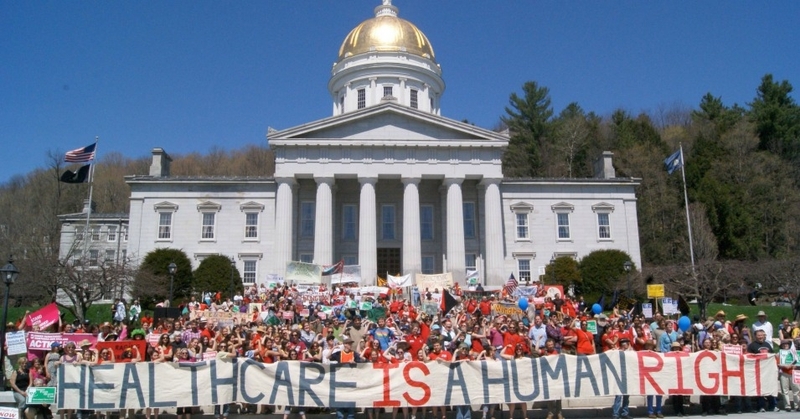 Follow @Vermont Federation of Nurses & Health Professionals on Facebook for updates. 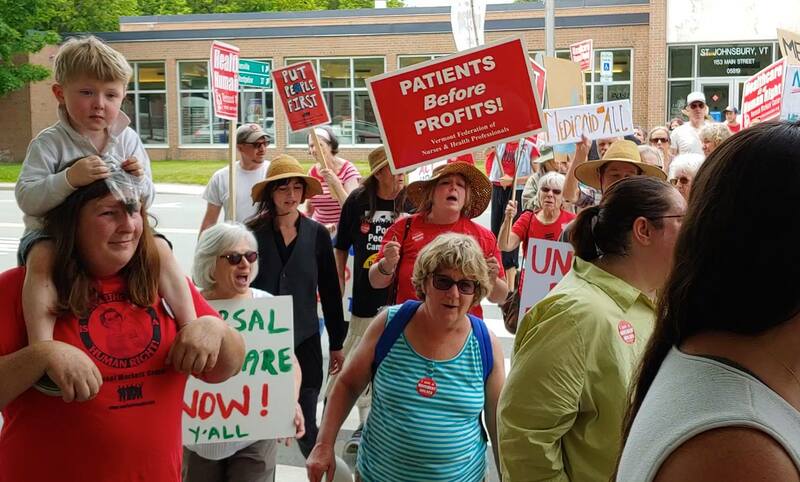 On July 11th and 12th, the 1800 nurses who work at the University of Vermont Medical Center went on strike, and have been working without a contract since. 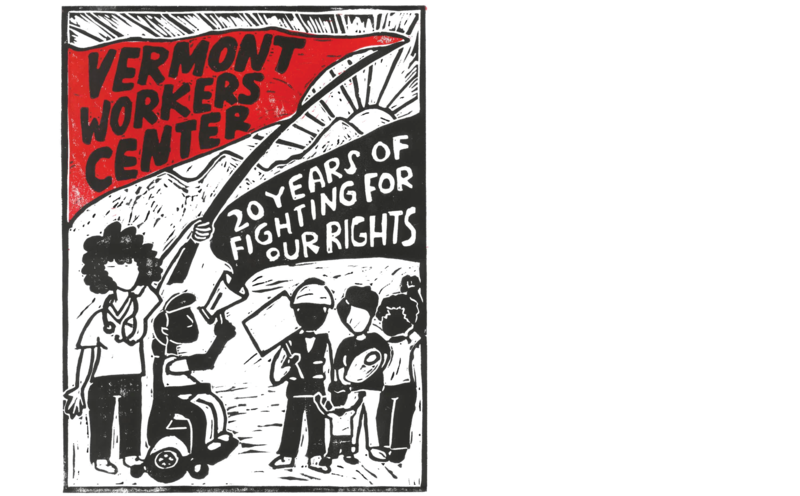 Read more about Support the UVM Medical Center Nurses! 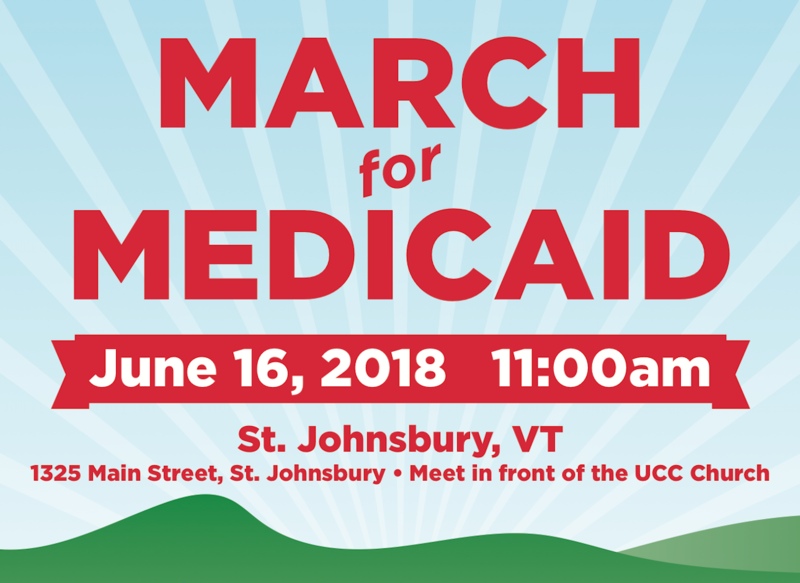 Join the Health Care is a Human Right Campaign for a family-friendly and accessible march to protect and expand Medicaid in the face of cuts and unjust reforms. Click here to RSVP and get involved. 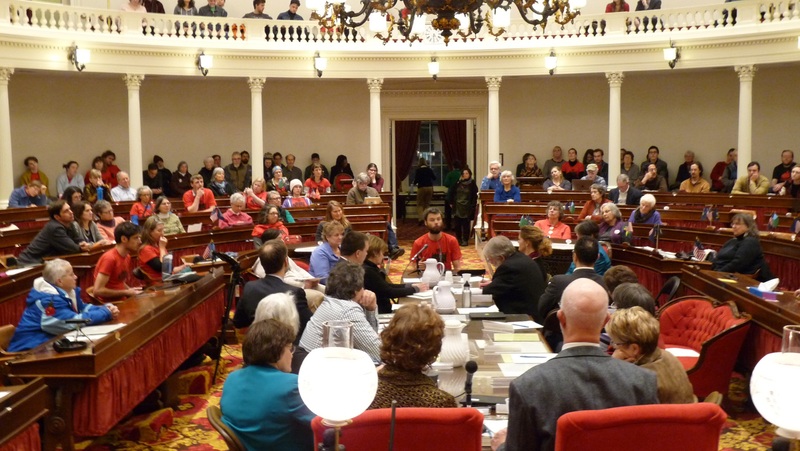 Governor Scott is proposing to cut subsidies for people with Vermont Health Connect silver plans, funding for the office of the Health Care Advocate and the Green Mountain Care Board, and cuts to the Developmental Services budget. 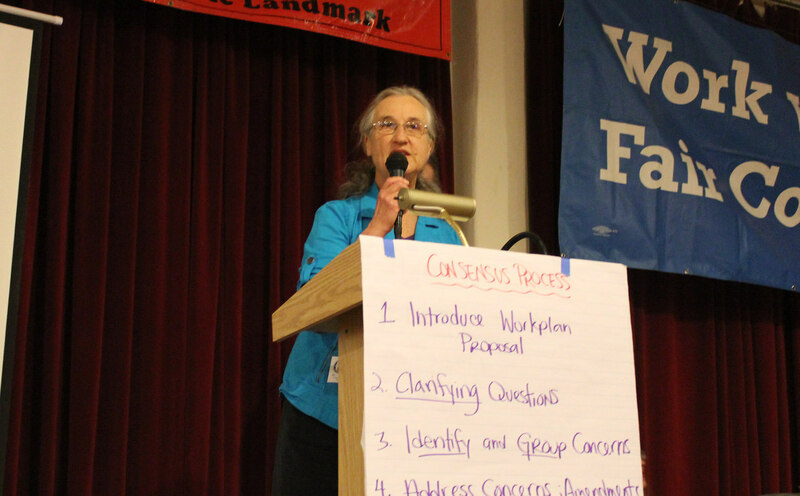 On Tuesday, January 23rd, over 150 people braved the freezing rain and came to speak out at a public hearing on access to healthcare. 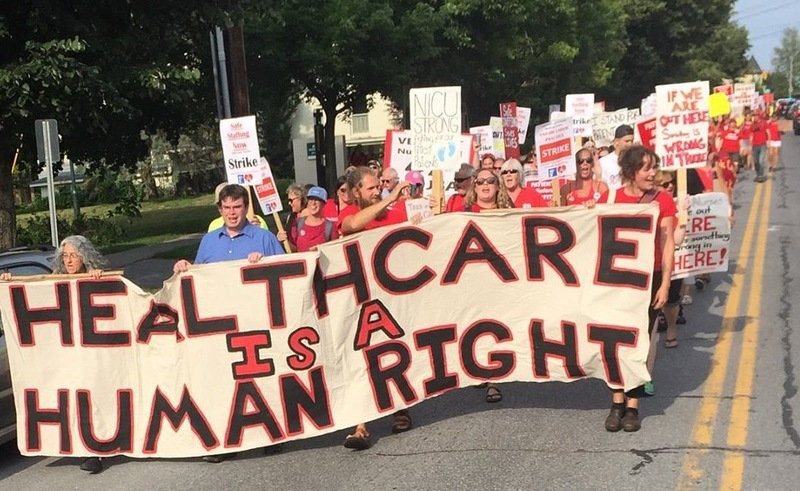 Supporters of the Health Care is a Human Right Campaign called on members of the House Healthcare and Senate Health and Welfare Committees to move forward with full implementation of Act 48. 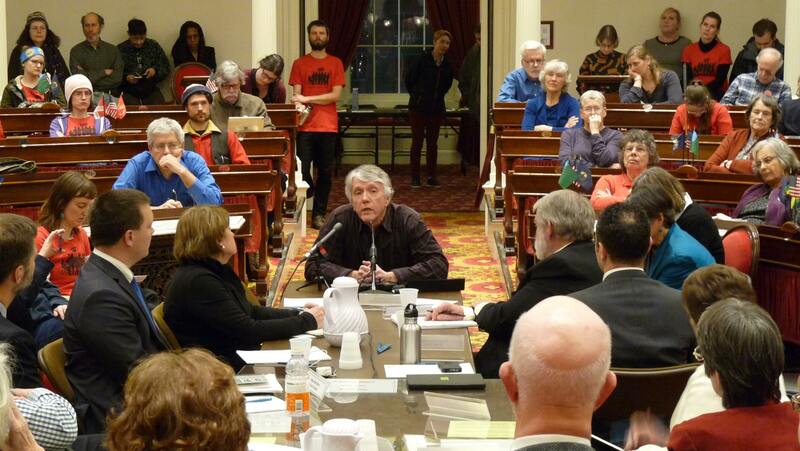 NOTE: This OpEd by VWC president Ellen Schwartz has so far run in the St.